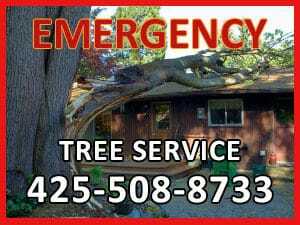 Tree Service Company - Puget Sound Area - Kenny Tree Inc. Call our tree service company today! If you are looking for a respected, professional, licensed, certified, bonded and fully insured tree service company, then you have come to the right place! We are respected and known in the Seattle, Eastside and Snohomish County areas for our excellent work, rapid response and competitive rates. Kenny Tree Inc. has been servicing the Greater Puget Sound area for OVER 21 YEARS. Kenny Tree Service is one of the oldest and most respected tree service companies operating in the Puget Sound area with a safety record second to none. Our staff has over 120 years experience and we have a Certified Arborist, TRAQ Certified (Tree Risk Assessor) SA: PN-1163-A / TRAQ Risk Assessor CTRA 1259 and Horticulturists on staff to meet all of your tree care needs. Call us for a FREE ESTIMATE 425-508-8733 or fill out our contact form. Kenny Tree Inc. ensures the highest quality for our customers, and is committed to putting your needs and safety first. Your trees and property are in the hands of highly trained and qualified tree service professionals. Our estimators have the experience and professionalism that you require, and can evaluate your trees and make tree service recommendations with confidence. We have Certified Arborists and fully trained and Certified Climbers for tree pruning and tree removal services. Our company is always available and ready to meet all of your tree care needs.